Throw Back Thursday indeed! 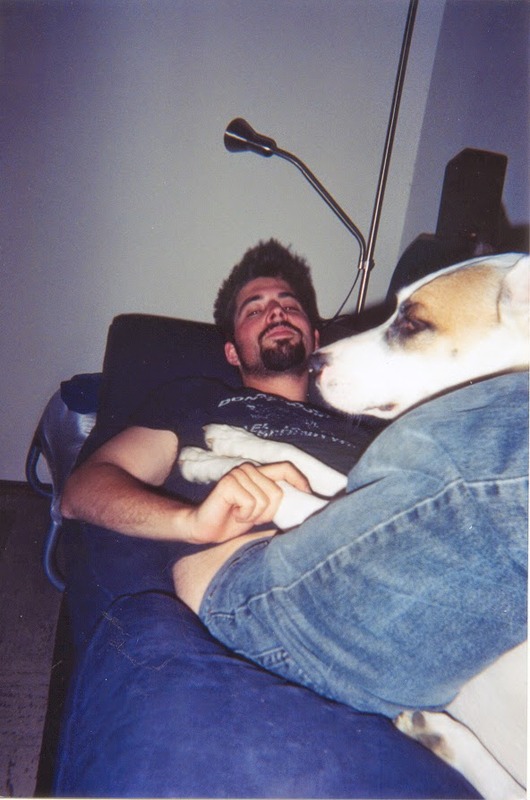 Let's travel back to Fall of 2001 when Max and I first lived together in Davis. I had my first horrible, awful, no good, very bad job ever, and Max completed his BA in Psychology. More importantly, he drove an awesome red Jeep Wrangler (yes, ladies, he was downright dreamy). This was also when Max became an honest to goodness dog lover. Here his is, cuddling the hell out of Ozzy on our old blue Ikea sofa that my Grandpa Henry gave us as a housewarming gift. Talk about a throwback! Yikes!